One thing I don’t do very often with those closest to me in my everyday life is day dream out loud. In the spirit of small town cliché, I’m supposed to dream of getting married; settling into a cozy little home, then get right to work starting a family. This is what my mom and aunts did, it’s what several of my friends have done. The only problem is my heart’s longing is very different from those dreams of marriage and family. During a heated conversation with a small town friend, she told me I was jealous of her because she was living the “American Dream.” She has a husband, a house, and a child on the way. From the outside, sure, it may seem like she has it all, but I’ve been on the inside of her house and it’s far from the perfect dream. But its her dream and I'm fully supportive of that. Still, her words have left a stinging mark on my soul that has me questioning our friendship. She’s since apologized, blaming it on hormones, lack of sleep, and a myriad of other things. That doesn’t stop the stinging though left by her thoughtless words, the ones that insinuated that I should want what she has even though we both know I don’t. My dreams swirl around scenarios vastly different from my small town life. There’s one that includes a small apartment in an eclectic neighborhood filled with diverse interesting characters, surrounded by art galleries, museums, and unique independent bookstores. Another one includes a house filled with friends from different walks of life sharing stories of international travel, breaking bread over a table filled with exotic foods, and having conversations about sorts of things that I can’t discuss with my small town friends. The dreams include doing work that makes a difference, something that gives me complete contentment, is challenging but still lets me live my life in a way that’s not just existing but actually living. 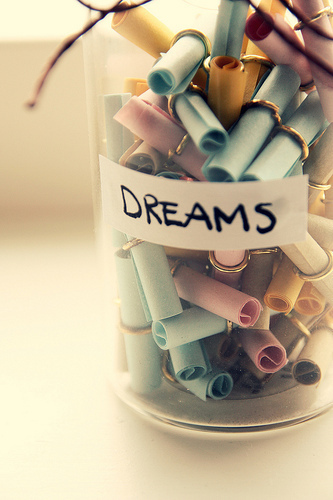 Right now those dreams don’t include a husband or children, and I’m ok with that. I just wish more people in my life would be ok with that too. They they would be supportive of me and my dreams, like I am of them and their dreams. Since they aren’t, I’ve sought out new friends who are completely supportive of those dreams; friends who, at their core, are very different from my childhood friends and dream different dreams for themselves. Friends who totally follow their hearts instead of what someone else dictates to them. I’ve surrounded myself with a community of people who come from incredibly different backgrounds than I do, opening up a whole new world of thoughts and ways of seeing life. I’ve started laying the groundwork, searching for new opportunities in new cities, piece by piece untangling myself the clutches of small town life. I know sometimes it’s hard for childhood friendships to be sustainable into adulthood. Those childhood friends want to cling to the person I used to be, not allowing me the room to grow into the person I want to become. This year, I’ve made the decision to put myself first. To be supportive of my friends, but more importantly to be supportive of me. Trusting myself to listen to the dreams in my heart, even though they are incredibly different than what people think I’m supposed to dream, to know that those visions are exactly what I need them to be. I’m also working on accepting that sometimes small town friends and big city dreams don’t always go hand in hand.